The Xin Mo 1 player arcade controller is plug and play for Windows so no drivers are needed. 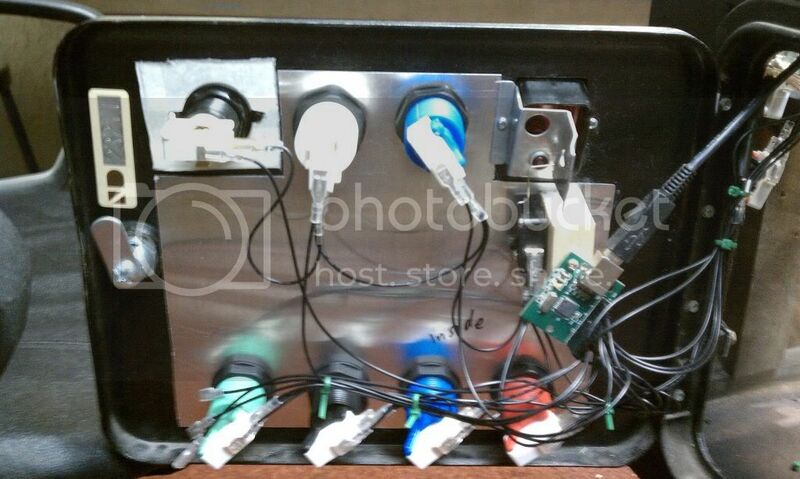 It provides inputs for 1 joystick and 12 buttons. The controller board is very small and provides a 20 pin header to plug in the crimped connectors for the joystick and buttons. Four 4 pin connectors are provided for the 12 buttons and 4 joystick inputs. A single pin ground connector is provided with a daisy chain of 16 grounds. Windows 7 identified the controller automatically and added it to the device menu as Xin-Mo Console which displays as a game controller. The controller test worked fine and showed all the functions to be working. Response of the controller is just like a game controller so there is no hesitation or possibility of blocking. It is quick and responsive and does exactly what it should do. Sure you could hack a joypad and solder wires and a terminal strip to it but this is much easier and neater. An added plus is that it comes with pcb standoffs, a long USB cable, all connecting wires, crimped connectors and a daisy chain ground. The 1 player version is $18 so considering what you get it is a good deal. Edit: You can get the 2 player version for $25 and it shows up as 2 game controllers. That's OK with me. I would rather support a supplier here than some unknown entity in China. You don't get a chocolate surprise from China. Good point on the us vendor angle, some backup and CS is worth a few bucks esp on small items. BobA, I realized you reviewed the 1p version, but do you know if you have 2 of them, will they have conflicts over controller 1 v/s controller 2, or should you plan on getting the 2p version for 2p? I'm pretty used to arcade vendors taking their time once they get their hands on your money. Every single one of them has pulled that stunt on me at least once. I don't use more than 1. I have the 2 player version for a 2 player panel. I will make a comment on the performance of the two-player Xin Mo. I have noticeable lag. I had a j-pac go bad and I was short on cash so I went with a less expensive alternative. Playing Donkey Kong, the lag was immediately noticeable. Going up the 1st ladder(or any ladder) and attempting to turn left(or right) without hesitation is impossible. Trying to play Pac-Man/Ms. Pacman w/speedup hack was frustrating as well. Having the joystick pushed down and watching Pac-Man zoom right by the opening I intended had me cussing the little yellow chomp monsters. All games I play now suffer from the lag. Attempting to make sense of this and make sure I wasn't halucinating, I tried using USB and PS2 keyboards and the lagging did not exist as DK & PM were much more playable. I'm sure if I mashed a whole bunch of keys I would mess things up, but my issue was with lag and not ghosting. I'm out of work right now so I'm stuck with what I have...but when my finances improve, another keyboard encoder is on my short list. I will try my 2 player version when I make a CP that requires it and report back. My 1 player does not give me any noticeable lag but maybe I am too slow to see it. Tried my 1 player vrs a USB keyboard and could not detect any difference in response. My controller is plugged directly to the back of the MB no hubs are used for the controller. My finances have improved, so I had the opportunity to buy a IPAC FS32 from fleabay ($30 shipped). I just got around to installing it today. I can say without hesitation that IPAC performed better than the XIN MO 2-player. The reduction in input lag is enough for me to notice immediately. I mentioned a while ago the PACMAN/MS PACMAN games with speedup were impossible to play with the XIN-MO. I played MS PACMAN (speedup) right before the IPAC install so I could have a fresh perspective. With the IPAC, I was able to control the game sooooo much better. I'm not an ULTIMARC fanboy either....I'm still steaming over my JPAC taking a dive. Finally hooked my 2 player Xin Mo in a 2 player bartop and have not observed any noticeable delay on my part. Will keep an eye on it as I configure more emulators. Right now I only have MAME configured. Installed Tubografix, NES, SNES, Playstaion, Genesis, Gameboy Advance and Future Pinball. No problems so far except finding a Genesis emulator that worked with Maximus with no problems. Response of the 2 player Xin Mo is acceptable in all my testing. I should note that using Maximus Arcade with the 2 player controller is a bit of a problem. Maximus does not allow you to select what controller to use for its setup of the front end. Therefore all front end inputs have to be from controller 1. Controller 2 will use the same setup that you use for controller 1 so there is no use to set it up. You have to think about what keys to use and since Player 1 (10 inputs) has less inputs than Player 2 (12 inputs) I find it hard to get enough keys for the front end. 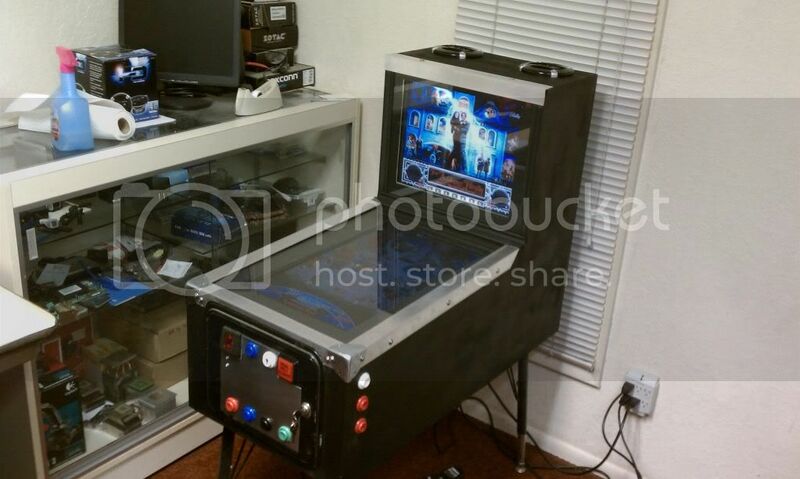 I know this is an older thread but wanted to answer the question above about using multiple copies of Xin Mo on an arcade. I asked Paradise in an email if two Xin Mo 2 Player units could be run on the same machine allowing for 4 player set up. They responded that this would work. Have not tried this myself yet but plan to. This is helpful for those on a budget as you can start with the $25 2 player version and then simply add a second one to upgrade to a 4 player setup as opposed to diving in and buying a 4 player iPAC off the bat. I just got around to trying this out. The wiring diagram is completely inverted on mine. Ground are on pins 3 and 4. Joystick is on 15,17,19,21. B1-B8 are on 22,20,18,16,14,12,10,8 Respectively B9-B12 are on 13,11,9,7 respectively. Shorting 3 and 5 toggles the joystic between XY, Z and POV hat. Thanks for 2 hours of my life I'll never get back. Ah, I didn't even think of this being the case, good catch! I'll try to get detailed pictures of the front and back of mine when I get home so that there is at least a reference. Pin #2 is labled on mine as "JP2" without any other markings although I was able to figure out the ground pins by looking at which two were linked together along with the ground plane on the bottom. I'll also look for any revision markings etc although I don't typically see those on cheap chinese boards. I'm tempted to see if I can build an Arduino-based arcade interface since I stocked up on parts for embedded Arduino projects a few months ago (ATMega328PU's, 16mhz crystals, etc). It probably wouldn't be hard to make a serial version but USB usually requires a 2nd chip with Arduino (FTDI or another ATMega) so the cost literally doubles. Seeing that the identifying info is scraped off the micro-controller on the Xin-Mo, I wouldn't be surprised at all to find out that it's an ATMega chip already. The markings are rubbed off my chip, too. I'm really not surprised by the variations because Chinese manufacturers steal just as much from eachother as the steal from the West. I also confirmed that my board's marking of JP2 is right next to the header's pin 2.
i got mine from GGG but it has less than 20 hrs played on it i could post pics of it if needed. the diagram that came with mine was spot on. my only problem is now im having issues with hyperspin. it lags really bad when i first run it and then the controls only control the main wheel not any emulator wheel. I'm using joytokey 3.7.4 and keyboard commands for hyperPin (not hyperSpin). It works fine, but I know recent MAME uses direct keyboard input and the joytokey and xpadder aps don't work with them. There's always something.. Anyone know if this will work with the fusion (genesis) emulator without any issues? I was looking at the settings and I didn't see any options for setting with a gamepad controller...it's all keyboard based I think. I'm running gameex as the front end but I don't think that will really matter. You will not see the option for config of a gamepad in Fusion unless the gamepad or gamepad interface is connected to the PC. good afternoon, and above all a greeting to all and thanks in advance. I'm riding an arcade and buy Xi Mo 2 player usb for Maximus Arcade. The problem is that I can not play when I select the menu and I've tried everything. Any help? Page created in 0.307 seconds with 45 queries.